Our home, a simple "working class" Victorian in the historic district of Old Town, Alexandria, was built circa 1886. We've done some research in an attempt to nail down a specific year, but the city records and library only get us in the ballpark range we have. We know the house, and the mirror twin house next door, weren't on the city fire map in 1885, but is listed in the city directory in 1887. Throughout its life, our home has seen a change of two centuries, the first manned flight, WWI, The Great Depression, WWII, the JFK Assassination, putting a man on the moon, Vietnam, the destruction of the Berlin Wall, three baseball teams in D.C., the birth of the Internet, September 11 and countless other world and local events. It has been home to families small and large. It has been a single family home, a rental home, a two unit apartment, a rooming house, an artist's studio, a bachelor pad, and now, the home of a newly married couple, now many years into a renovation neither had ever expected. To get a feel for the state of the home when we purchased it in 2003, check out photos taken during our home inspection. If you're interested in seeing where we are after years of renovation projects, take a look at our Renovation page, with room by room before, during, and after shots, as well as a link to posts on that project. For an overview, check out this summary post with side by side before and afters. 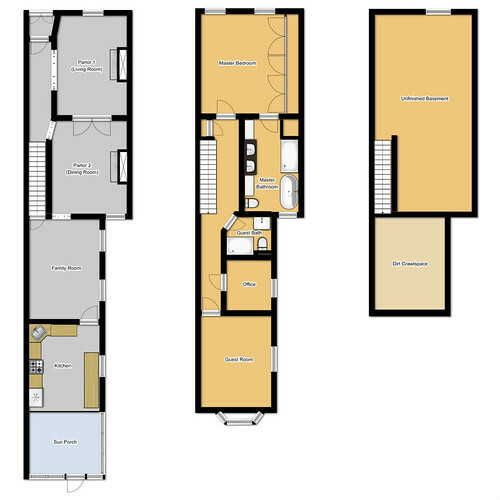 Or, if you want to get a better idea of how a 15 foot wide house is laid out, check out our floor plan description. Love your blog and your extensive research on all things "Home"
Thank you so much! It is definitely a labor of love. I love your site. The style of architecture of your home is unknown in my part of the world (eastern Ontario) so it's very interesting to read about the challenges and successes of renovating an older home. Just found your blog-I love your house and your attention to detail. 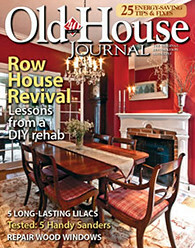 I am in the process of restoring a 1903 farmhouse in eastern North Carolina and it's refreshing to read about others' projects. Keep up the good work. Thanks so much Paul! 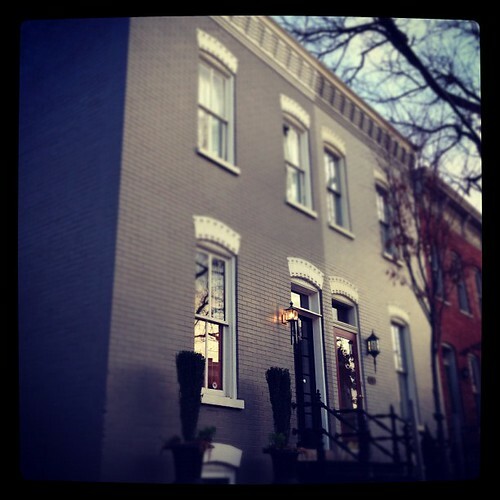 Let me extend an official welcome to Old Town Home and we hope to see more of you in the New Year. Good luck with your renovation too! Love your site. I want to get mine looking as classy! Love the vestibule project. 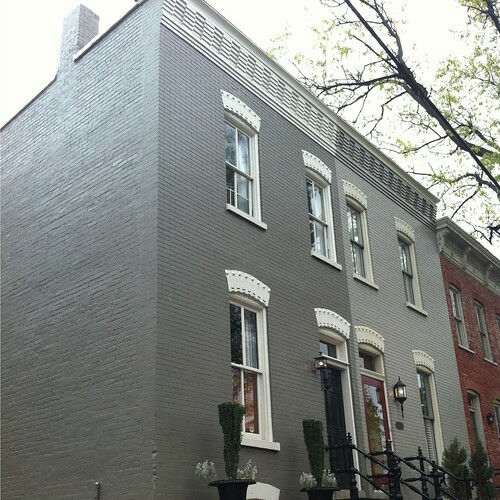 My rowhouse is in Baltimore and most of the previously active rowhouse blogs have slowed to a halt so I look forward to reading yours in the future. My site is above. Cheers! I just stumbled upon your blog, not sure how, and I've been spending the better part of the last two days reading every post. Your house or absolutely gorgeous. I also own a 100+ year old house that my husband and I just bought. It's a three-story colonial built in 1860 near Philadelphia. We're dealing with some issues (which previous owner painted over every piece of antique door hardware?!) and your blog is a godsend. I wanted to know how you found out about your home's history, and are there books you refer to when restoring things -- like to check if certain hardware or features are original to a certain time period? I would love to learn more about my home and don't know where to start. Please let me know if you have any reading recommendations! Hi Kelly, I think I just responded to your comment on Facebook, but I thought of one other major thing that helped us in our research, our local library. They're an invaluable resource with photos and history. The Library of Congress is another great place to look. Have you done a title search at the court house? I did one on my house on Princess St and I was pretty accurately able to nail down when and where it all went down. I'd be more than happy to help you guys out with it. Plus, it's just cool to see the original handwriting on your property from hundreds of years ago! I haven't been to the site in awhile. Everything looks amazing - I hadn't seen the sun porch and office renovations. We'll miss you at Christmas this year! I just found your blog today- I love your home! I am also very jealous- I wanted an old home so badly and lost out to new construction. I'll just have to live vicariously through you! Just curious about the size of your home. How many square feet are on the two floors? Hi Jeanine. Thanks for your comment. The two main floors are approximately 1700 square feet. Just happen to find your website, I don't have the time to read and oogle over your lovely and beautiful home while on the job so I will continue when I get home, your projects are out of this world. I was fortunate to purchase an old house in North Adams, MA, went to visit my daughter and fell in love with this house. To make a long story short, we are still working on it, I do hope we can keep in touch. Thanks for your kindness, most folks don't share information, so thank you both sincerely. Where can I find the hardware to attach a pedestal base to slipper clawfoot tub? I've done many renovations here in Liverpool and surrounding areas but in America my only experience of building is in new houses with family members.Looking at your posts gives me some serious food for thought. I like your blog. Would you folks have interest in trying a new DIY caulking system called the Pro Touch? Really lovely home, I really like what you have done with the property. I do have to say that I prefer a country house with a large driveway. I love my garden and I love being in the outdoors, so city living and city houses are not quite my cup of tea. Never the less, I love the house and I think you've done brilliantly. Just discovered your wonderful blog and want to say thank you for taking the time to write this very engaging and informative post. We are in the early process of renovating our victorian style town-house in central London. Seriously though, I need a decorator/designer to help me with paint colors, flooring and decorating a small cottage we have in the Middleburg area. I love her style, do you know of anyone? 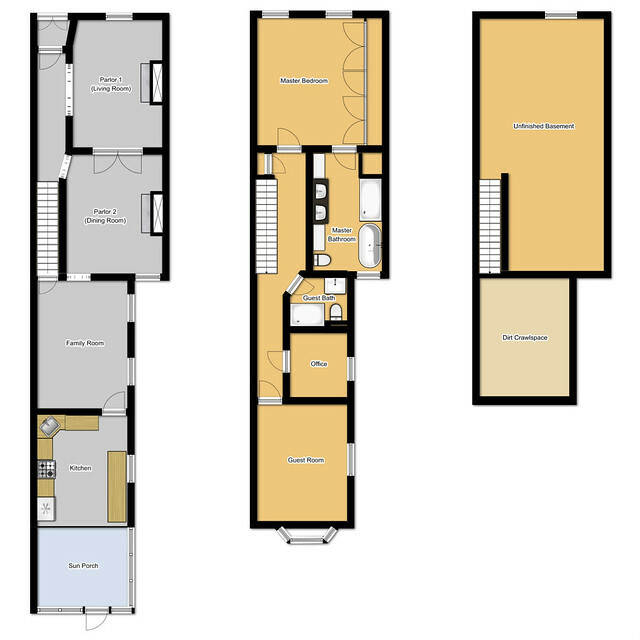 Hi guys, can we get a floor plan of the 'new' house at the shore?